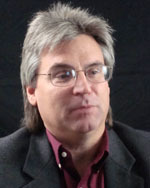 Andy West has served as managing editor of the Delaware State News since 1996. He joined the Delaware State News as sports editor in 1990. Before that, West served as editor of The Daily Whale, Sussex Post and Leader & State Register for Independent Newspapers. He graduated from the University of Delaware in 1985 with a Bachelor of Arts in English/Journalism. In the early years of his journalism career, West worked for Gannett’s News Journal in Wilmington, USA Today, the Saratogian in Saratoga Springs, N.Y., the Reporter in Lansdale, Pa., and the family-owned Reading Eagle Co. in Reading, Pa.
Andrew West, managing editor, The Delaware State News, says The News reports “with purposeful neutrality.” The newspaper uses “no anonymous sources” and encourages its copy editors to raise red flags whenever ethical concerns are detected. Andrew West, managing editor, The Delaware State News, says The News is cognizant of recent industry changes, but it is not racing to react to “each change that occurs” in the digital landscape.